One of my favorite things to do is to help make people happy. Knowing that I can have a positive impact on someone through a kind word or a small gesture is powerful. I have been doing Random Acts of Kindness at work since I got my first “real” job when I was 19. A friend and I used to organize small anonymous gifts for our co-workers: sometimes we would leave flowers, other times we’d leave homemade baked goods, or letters of appreciation. I’ve continued doing Random Acts of Kindness at work over the last 15 years and still enjoy it as much as I did when I was 19! 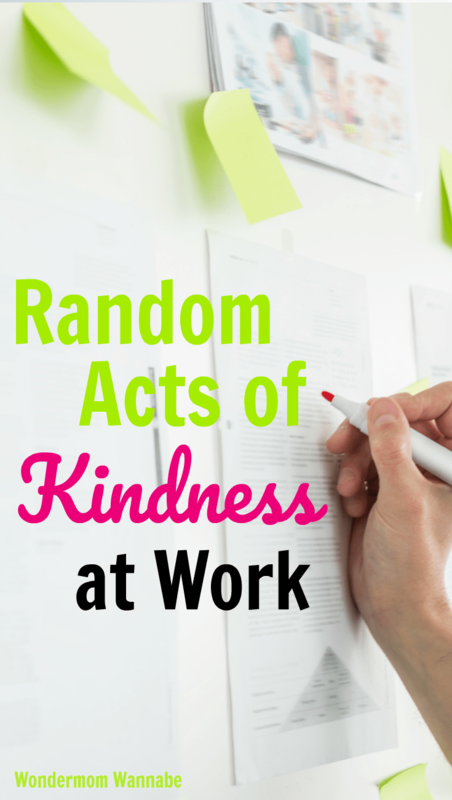 Today I wanted to share some of my favorite ideas for Random Acts of Kindness at work. 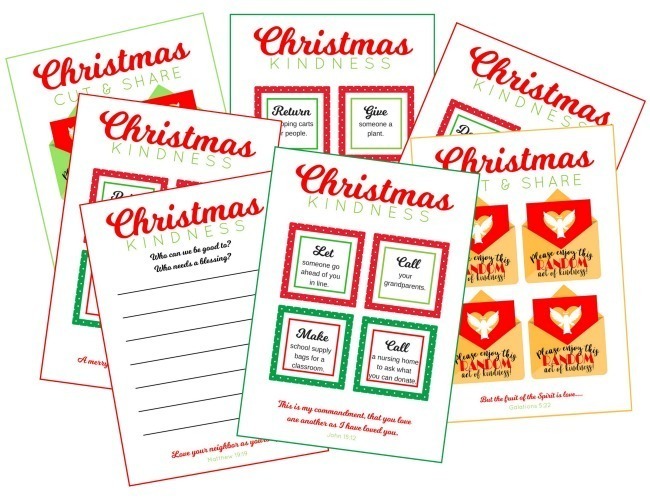 Read through them, pick a few, and spread joy in your workplace! I am a huge fan of natural, homemade beauty products and every time I’m making myself a batch of something I use regularly, I’ll double or triple the batch and bring in the extras for my co-workers. Last month, I made a huge batch of homemade lip balm and passed them out at work. Everyone loved the lip balm! A month later, I can still see my homemade lip balm sitting on the desks of all of my colleagues. If you work in an office, you know that office people love to eat! I love to make big batches of soup or chicken lasagna in a slow cooker, and share it with my co-workers. They are always so appreciative! It is also nice to walk into the building and smell the aromas of a warm soup. It brings a bit of comfort from home into the office. One thing I’ve been doing for years is keeping a candy dish on my desk. I will have a lot of people stop by just to say hi and grab a piece of candy. I have also noticed that people will comment when I put out their favorite candy, which I can keep a mental note on for Christmas exchanges. Bonus – if there is someone else at your work with a candy dish, you can also refill their dish as a Random Act of Kindness at work! I have made a habit of leaving any leftover change from a purchase, in the vending machine. That way, the next person who grabs a drink or snack will get a nice surprise! I have been on the giving and receiving end of this, and it feels great on either side! Giving a thank you note to someone who helped you meet a deadline, showed you how to work through a process, or who is supportive at work is a really easy, yet really effective Random Act of Kindness at work. I always feel so good when I can express gratitude to my colleagues, and I know how great it feels to receive recognition for the work you’ve done. When I remember, I’ll take the farthest parking spot away from the building, which allows others to have a better parking spot. Added bonus – I get some extra exercise in the process! One of the most helpful Random Acts of Kindness at work is to offer help to a coworker who looks overwhelmed. Any time I have down time at work, I will see if my colleagues need any help. Not only can I learn new skills in the process, but I can help foster an environment where help will be returned when I feel overwhelmed. 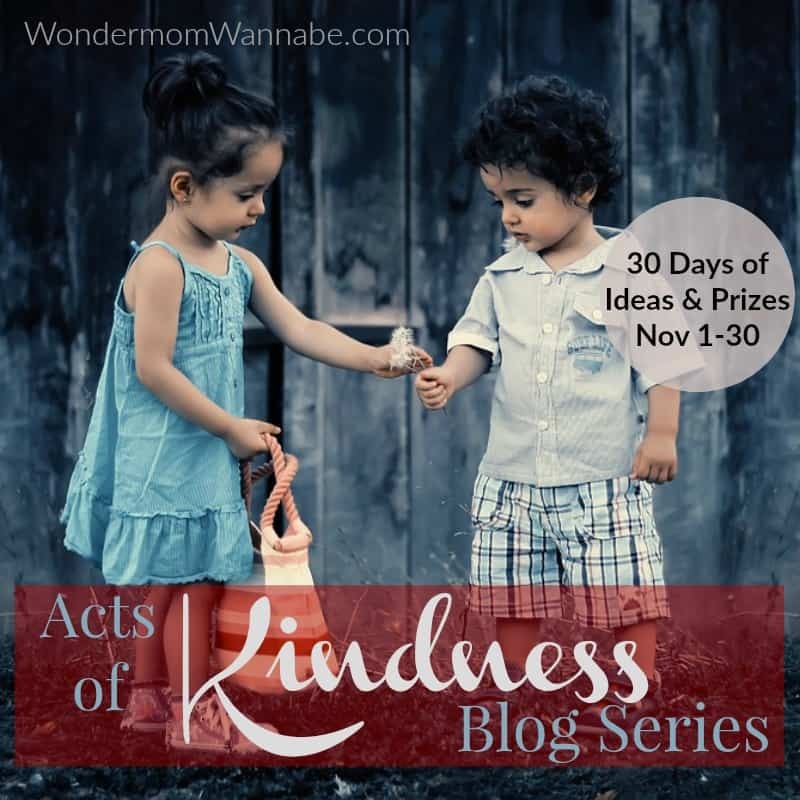 This post is day 8 in a 30-day Random Acts of Kindness series. Each day in November I’ll be publishing a new post with the help of some amazing bloggers to inspire your random acts of kindness. Another of my favorite random acts of kindness is to give my friends homemade items. Since I make my own organic beauty products, I’ve created a DIY Organic Beauty Box. 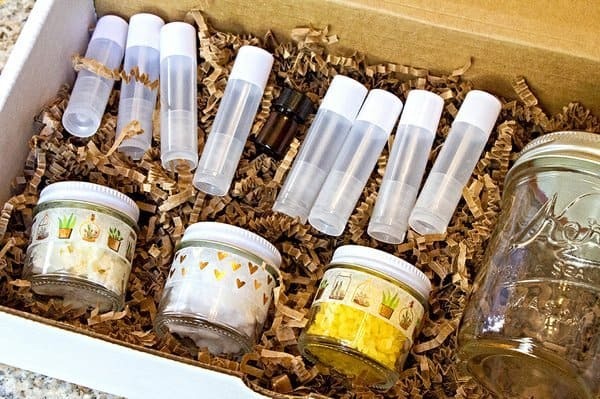 You can buy one by clicking this link –>> DIY Organic Beauty Box but I’d also like to give one for free to one lucky winner. Just enter below for your chance to win. Open to all U.S. residents ages 18 and older. Such great ideas. Thank you!